The HA installation and setup process has been redesigned to create a simple and even more secure infrastructure for your Artifactory HA clusters. Through the use of a Master Key, Artifactory adds a new security layer that replaces the previously used Bootstrap bundle mechanism, which is now deprecated. 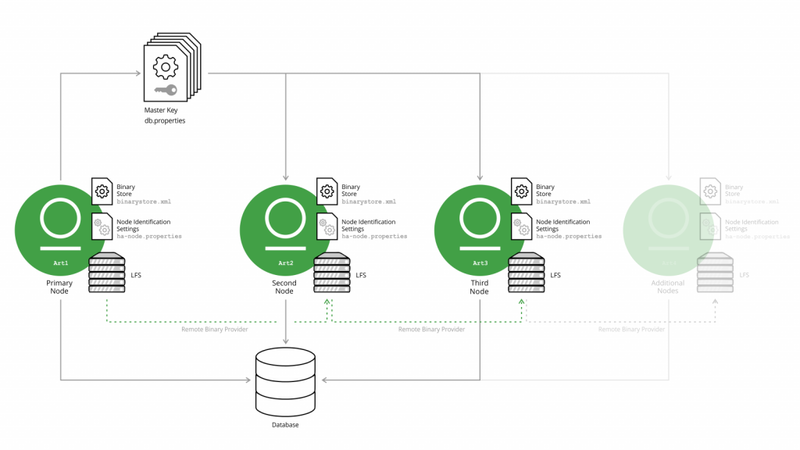 JFrog Artifactory handles all configuration and encrypted security-related files! To create new Artifactory nodes in a cluster, administrators only need to supply a single Master Key and db.properties file, used by all nodes in the cluster. Existing Artifactory installations will be upgraded to this new infrastructure automatically when updating from version 5.x and up.